Unzip Logic System is top Drupal Development company in Greater Noida and Delhi NCR,Hire our Expert in Drupal Developers with proven track record, we have handled 500+ Projects developed. You will like our cost effective Solutions and timely delivery. Our Certified Developers will provide the 24*7 Support with the affordable cost along with open source platforms like Wordpress, Joomla, Drupal and Magento, Unzip Logic System provides you both static and Dynamic platforms of web development including Ecommerce Portal Development services. We provides professional & affordable services in worldwide. Our Quick Turnaround. Expert Developers are clear Communication with 24*7 Support. We Provide the Services also WordPress Development, Magento Development, Drupal Development.We provide Best in Class Business Solutions that are used and loved by thousands of customers. 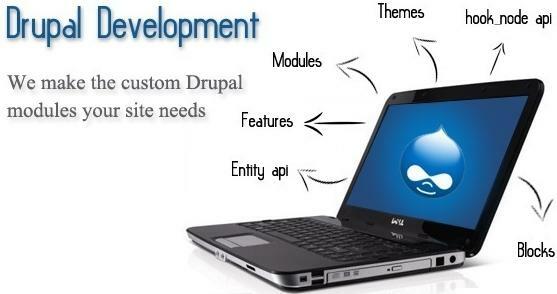 Unzip Logic System is a best Drupal Development Company in Greater Noida are providing the services like Most of our sites are implemented using the Drupal content management framework. Besides being an extremely well supported platform, Drupal provides and incredibly rich set of functional modules right "out of the box". Furthermore there are literally hundreds of contributed modules that provide additional functionality. Although it's immensely powerful, all this can be difficult to manage. We handle all this complexity and take the guesswork out of the equation for our clients.